BREAK It! 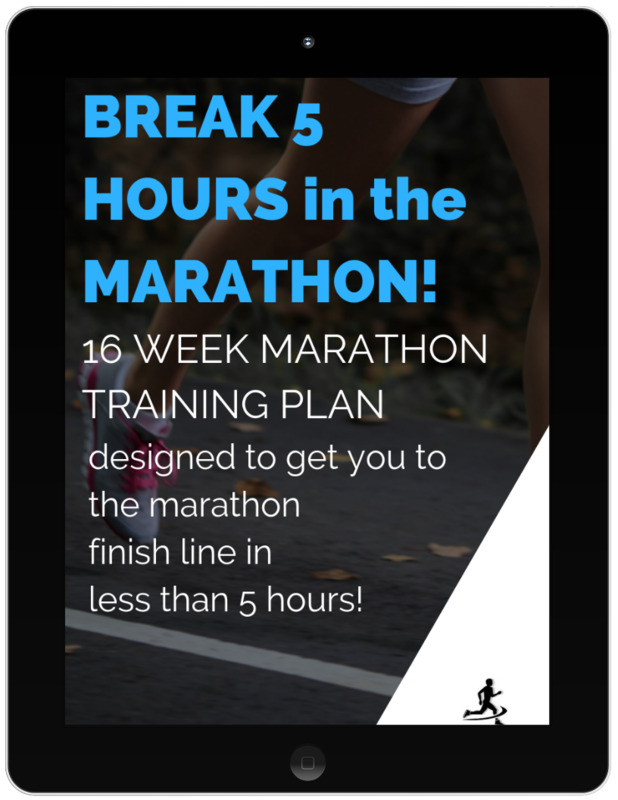 : Marathon Training Plans designed to reach your time goals! 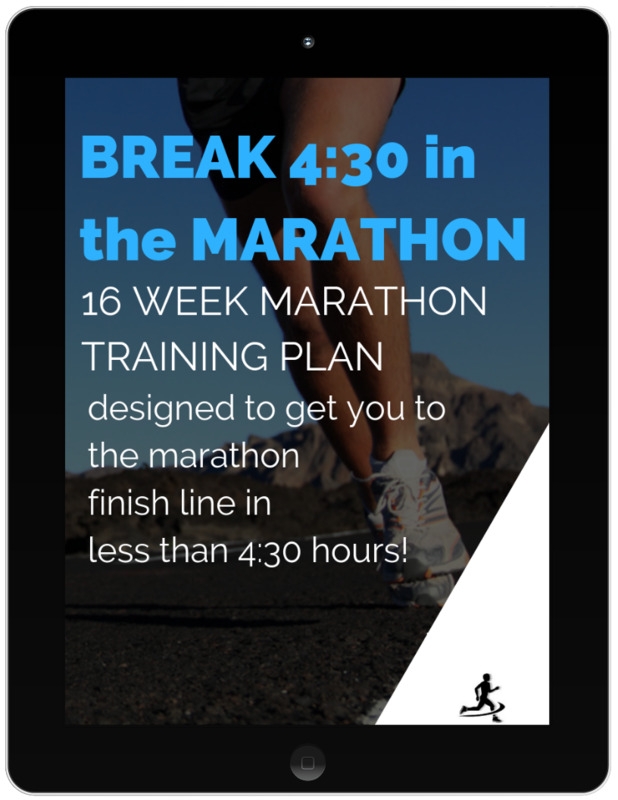 For more information on what's included in these training plans scroll all the way to the bottom of this page. 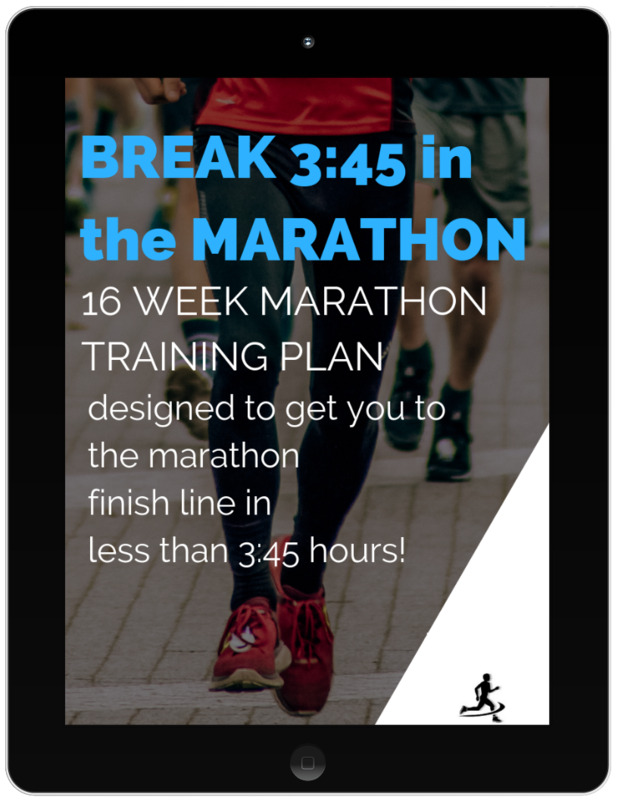 GOAL OF THESE TRAINING PLANS: The BREAK It or BUST marathon training plans are designed to help you achieve a specific finishing time. Finishing a marathon under a certain time limit is a challenge with a kick in the pants! It takes a lot of hard work and training to get a marathon under your belt but for many runners they can't seem to stop there. They want to take it one step further and see just how fast they actually can run the marathon. I learned though that training for a marathon with a specific time goal in mind takes a lot of hard work! It actually requires training very differently. Same sport, same distance but different goals (to finish vs. to finish in under 4 hours) requires a very different training technique. It comes down to consistency, quality runs, and the art of pacing. 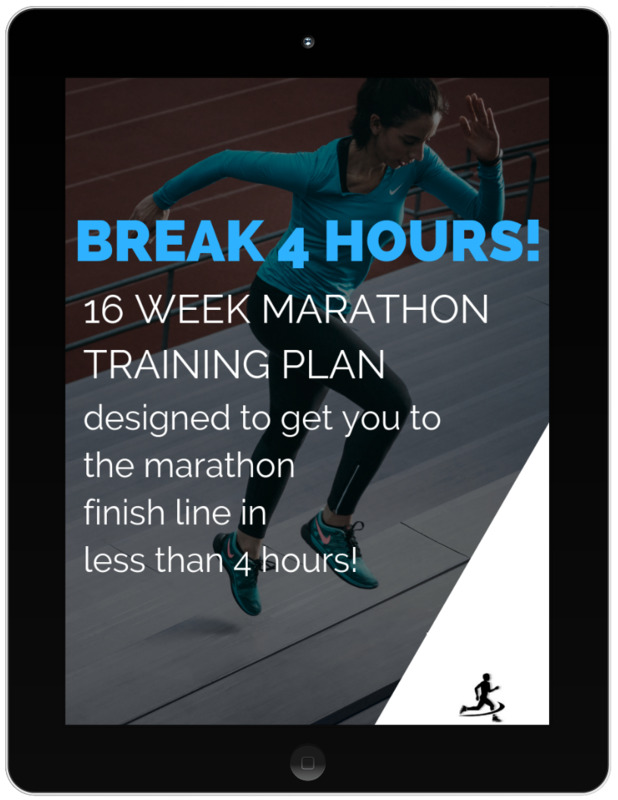 All of which you will achieve with any of these BREAK It or BUST 16 Week Marathon Training Plans! Who are these training plans for? 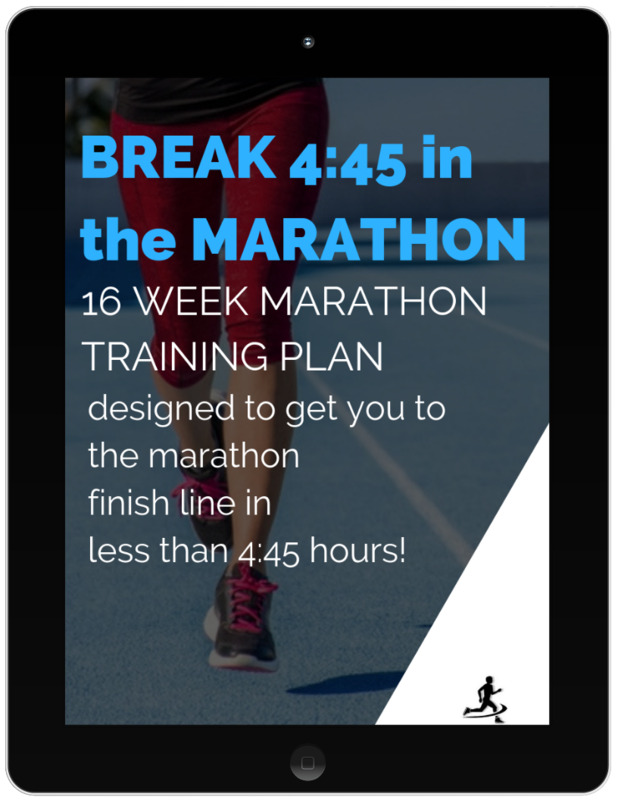 This is for you if you have run a previous marathon or have been running for at least 6 months to 1 year. It would be ideal if you can run about 6 miles comfortably or are comfortable running 15 to 20 miles a week. I don't suggest giving yourself a time goal for your first marathon. Just finishing is a huge success!